How many times have you been emailing with someone, in a video conference or chatting on Skype and wished that you could easily illustrate a point or share what you’re seeing with someone else? When those situations arise, TechSmith Jing Screen Capture and Recorder can help you share your screen with others easily and effectively. Read on to learn more about the benefits and drawbacks of the software. What Is Jing Screen Capture and Recorder? TechSmith Jing Screen Capture and Recorder is a screen cast software program that allows you to take photographs of your computer screen and to record videos of actions taking place on your PC & Mac. The program is geared toward sharing images and videos with others in real time. Once you have created an image or video, you can share it with another person in seconds, even if they do not have Jing. Cost – The basic version of Jing Screen Capture and Recorder is completely free to use, and offers the very basic ability to take pictures and record short videos for sharing. A pay version of Jing Screen Capture and Recorder is available for those who need a more advanced software solution for Windows or Mac. Easy to Use – You don’t have to spend a lot of time reading product guides to begin using Jing Screen Capture and Recorder. Once the program is installed, you can start using it right away, as the design is very intuitive. Often used by educators, the program is so simple that a child can use it properly. Makes Sharing Simple – When you use Jing Screen Capture and Recorder for its intended purpose, it greatly simplifies life. You can share videos and images in seconds to show people exactly what you’re seeing on the screen. Excellent Support – Even the free version of Jing Screen Capture and Recorder comes with complete customer support. You don’t have to pay to get help with the program. You’re unlikely to ever need help because the program is so easy to use, but it’s nice to know that it’s available if you do require assistance. Limited Functionality – If you’re looking for a screen recording software program for a purpose other than sharing, Jing Screen Capture and Recorder may not meet your needs. 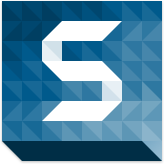 The program is made by TechSmith, the manufacturer of SnagIt, and this program is their solution for general screen cast and screenshot creation. File Formats Limited – In order to be able to save your file to anything other than an SWF, you need to upgrade to the pro version. This will allow you to post videos to YouTube and to create MPEG-4 videos. Ads – The free version of Jing Screen Capture and Recorder has ads included. These are removed with the pro version. While the ads aren’t really obtrusive, some people do find them unappealing, but their presence on the program is what allows it to be free for users. How good is jing compare to snagit?